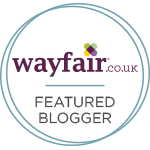 I recently contributed some ideas for making the inside of a motorhome more homely for the Wayfair blog. Their finished piece was helpful and interesting with contributions from other members of the full-timing/long-terming motorhome community. It's worth a read if you have a few minutes to spare. This Wayfair blog writer has good knowledge about motor-home. Your personal experience about home life very helpful for those people who newly married him. Mostly new couple confuses how to behave to his relative.